Building on a successful ten year career in the City with prominent international law firms David joined CDS to add a Sports Law expertise to the firm. 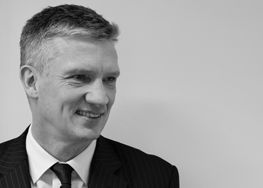 David is a sports and immigration law solicitor with a diverse client base including international football players, agents and leading UK football clubs. Previously, David was a professional football player, and later manager, at the highest national and international levels for many years and, as such, has a unique in-depth knowledge of the sports industry and its various stakeholders. David advises on a broad spectrum of sporting issues, both non-contentious and contentious. His areas of practice include providing advice and assistance on commercial agreements and regulatory matters. In addition, he has extensive experience in advising individuals and organisations in relation to sporting disputes and arbitration. In particular, he has provided advice and assistance to several high profile football players and clubs under Rule K of The Rules of the Football Association, before the Dispute Resolution Chamber of FIFA and the Court of Arbitration for Sport (CAS) in Switzerland. David also advises across the full range of business and personal immigration categories and in particular, sponsorship under the Points Based System including sportsperson visas.